We’ve had, not one but, three family birthdays to celebrate this month, which has meant lots of catching up with the family, which has been great, but it’s always difficult to get everyone together in between working, family commitments and Christmas prep. Luckily, we managed to fit it all in and even managed to see two out of the three on their actual birthday! Little one is almost 8 months old now! Last month I blogged that she’d started crawling, well this month she’s now standing and cruising around the room! This has resulted in a few knocks and bumps as she keeps letting go of the sofa to try and stand unaided which results in her falling on her bum! She’s now spending the majority of her day showing off her new trick and recently we even found her first thing in the morning standing upright in her cot, bouncing up and down with the biggest smile on her face. This month I participated in Blogmas – a blogging tradition where you blog every day in December in the lead up to Christmas. 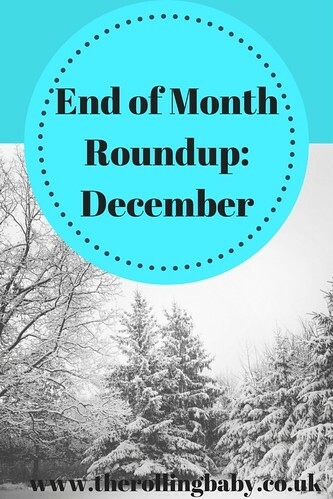 I prepped almost all my posts in November which meant I haven’t really written much this month, which has been kind of strange and I’ve missed it. Now that Christmas is over, I definitely need to get back to writing! 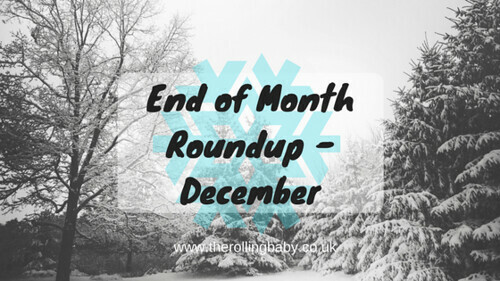 The only non-Blogmas posts I’ve written this month are my 2017 Achievements and something that was slightly different for me – Is it too easy to get hold of Antibiotics? Ah…weaning! Little one still has a complete aversion to vegetables! I just don’t get it. She used to eat them and loved them and now when I feed them to her, she acts like she’s doing one of the eating Bushtucker trials! Eyes watering, fists banging the table, begging for water, it’s all just a bit over-dramatic! On the plus side, she loves her fruit – you name she’ll eat it. She’s also had lentils and chickpeas for the first time this month – much to her dismay! And she’s loving toast. Christmas is now just one big blur. We didn’t have as much time on Christmas morning as I would have liked. I felt like I was constantly clock-watching as we had to leave to get my other half’s parents in time for dinner and they live over an hour away. As a result little one didn’t get to play with her new toys from us until Boxing day. Little one was completely spoilt and we now have more toys than we know what to do with. On the plus side, she’ll never be bored! She particularly seems to love her talking Po Tellytubby and the Laugh and Learn Cookie Jar that we got her.